The polymerase combines the high specificity, sensitivity, and minimal optimization of HotStarTaq DNA Polymerase, with a fast 5-minute activation time. PCR can be set up at room temperature and reactions can be directly loaded onto a gel, due to novel CoralLoad PCR Buffer, which contains two gel-tracking dyes. The standard QIAGEN PCR Buffer is also included for greater convenience. In addition, Q-Solution, a novel additive that enables efficient amplification of "difficult" (e.g., GC rich) templates, is also provided. 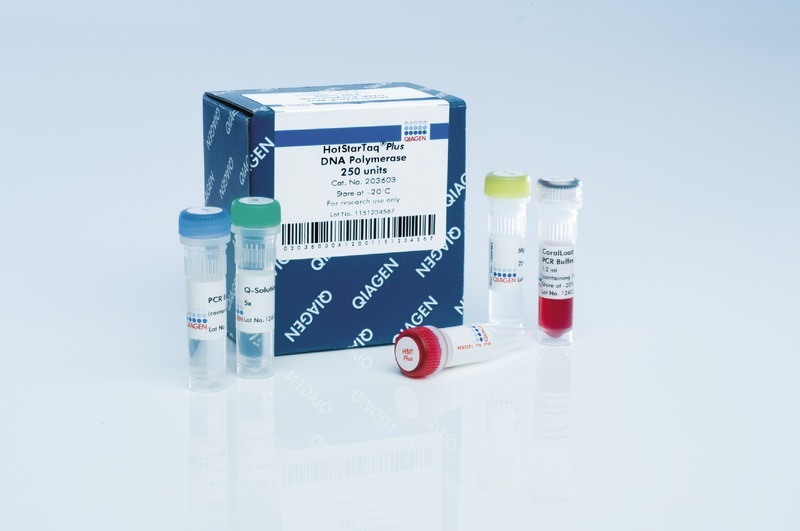 The unique kit components and optimized protocols streamline the PCR procedure.